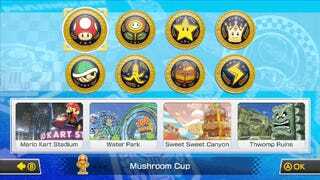 ​Which Mario Kart 8 Track Is The Best? With each new Mario Kart game, it's the same deal: Some tracks are good. Some tracks aren't that exciting. And some tracks are amazing. Mario Kart 8 is no different. Some of us on staff at Kotaku have been talking/arguing about which track is the best and why, and we thought we'd see what you all thought. Explain your vote in the discussion below, and maybe let us know what makes a "best" Mario Kart track for you. I'm looking forward to seeing who chooses what.